Scór – What is it? 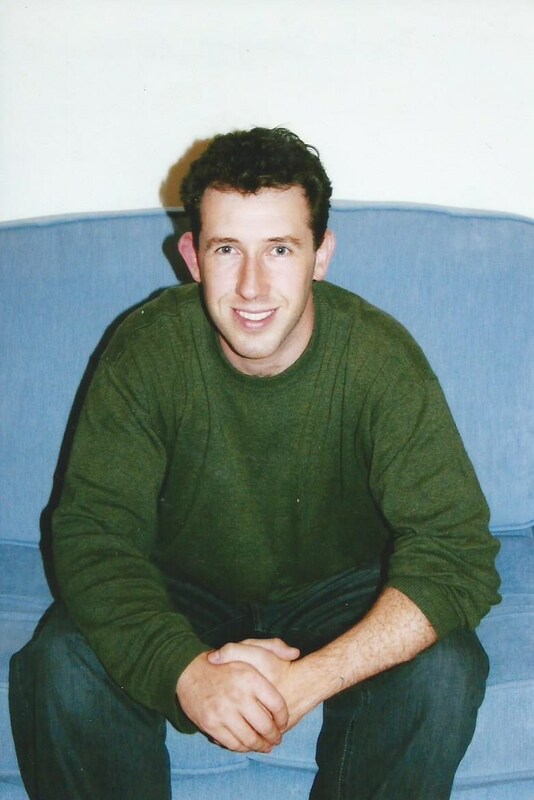 Have you an interest in Irish culture and the GAA? Did you know there is a way of combining the two? No? Well then you haven’t heard of Scór. 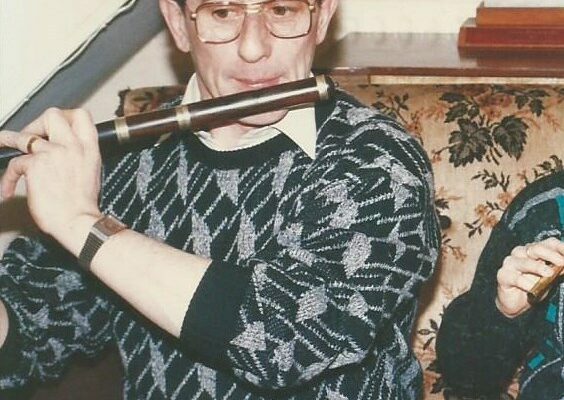 Scór is the GAAs cultural competition and it is open to every club in the country regardless of whether you are a Junior C Hurling club in Leitrim or a Senior Football club in Kerry! It is divided into two sections, Scór Na nÓg, for young people under 17 and Scór Sinsear, for everyone over 17! 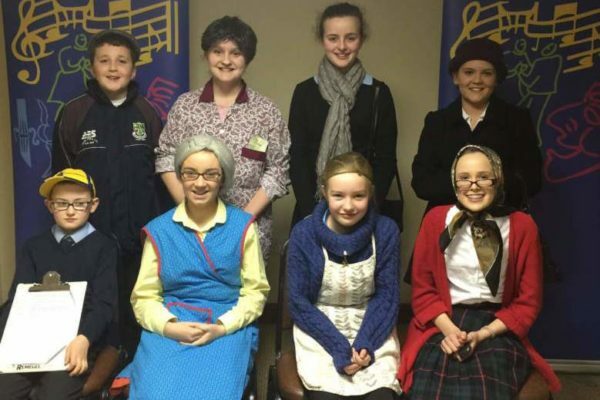 Scór Here in County Roscommon we also run a competition called Scór Na bPaistí for National School children. Information and entry forms have been sent to Schools and clubs throughout the county and details of the venues and times will be published here in the coming weeks. A lot of people reading this are saying to themselves “the GAA is a sporting organisation, it’s Hurling and Football”. Yes, this is true, but the GAA is first and foremost a cultural movement established with the aim to keep alive our distinct Irish traditions and pastimes, our games and our culture! What is Scór competition comprised of? 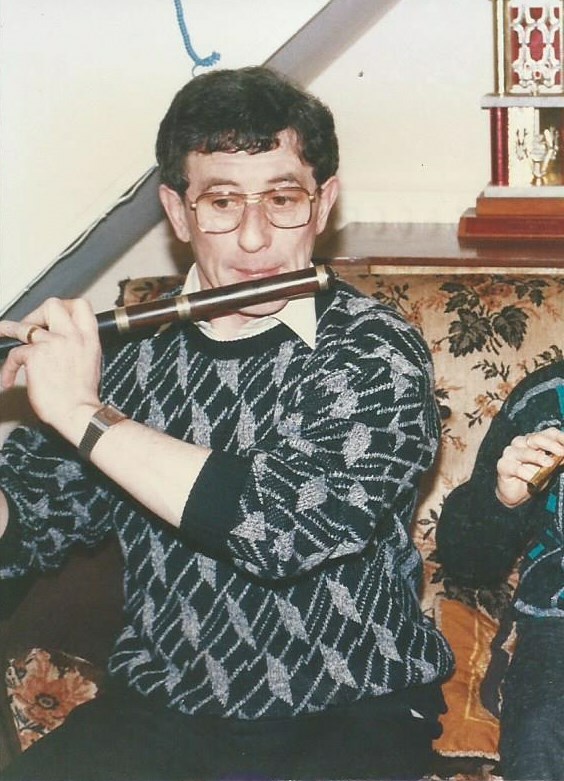 There are eight events / disciplines in Scór that cover all aspects of Irish culture and they are Figure Dancing, Solo Singing, Instrumental Music, Recitation, Ballad Group, Novelty Act, Question Time and Set Dancing. 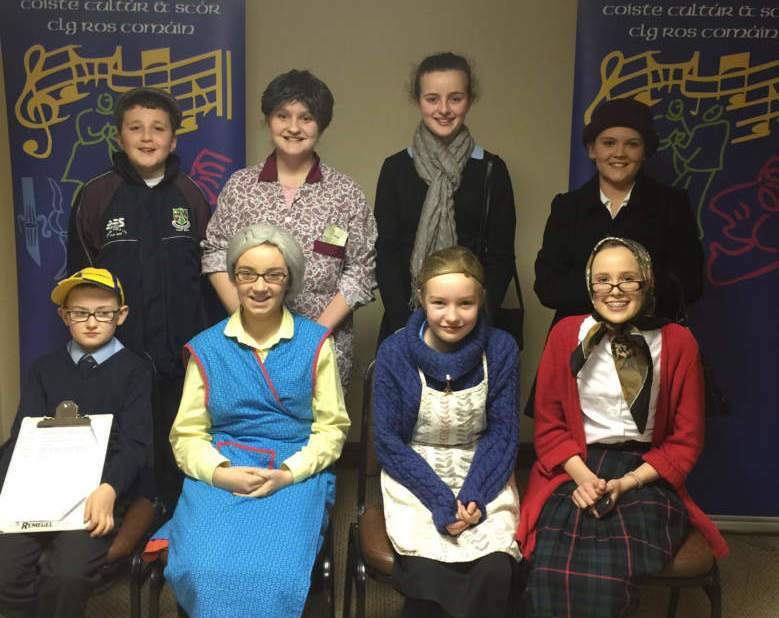 The competitions are organised in each county by the Coiste Scór, a committee, which is made up of delegates from clubs (every club is entitled to two delegates). In Roscommon, Scór na nÓg entails four preliminary rounds, two in the north of the county and two in the south, winners here progress to the county semi-final (also known as the northern final or southern final). 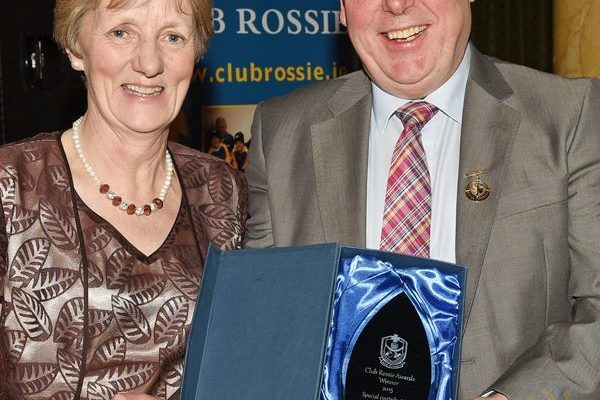 The county final is a big occasion every year and is usually held in early January (The county final of Scór Sinsear takes place in February). Winners progress to the Connacht final and from here to the national final. It is a tremendous honour for any club to be represented on All Ireland Scór final day; indeed the All Ireland Scór champions are presented with the same medal you get if you were to win Sam Maguire or Liam McCarthy and will be presented to you by the President of the GAA! 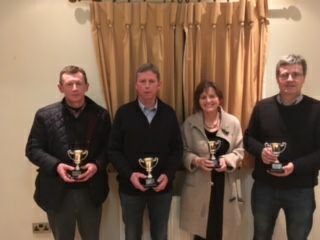 Scór Finals, like their Football and Hurling counterparts are always a very entertaining and competitive affair but we must not rest upon on our laurels and assume that all is just fine in Scór. In order to ensure Roscommon’s future is bright within the competition, we must all take up the baton of promotion, committees and public alike. Spread the word, sing the praises and make people aware of what this wonderful competition offers. 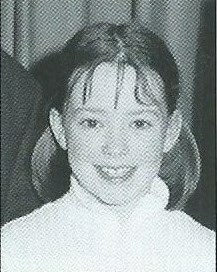 Alice Mannion has written, acted in and directed Novelty Acts for Tulsk Lord Edwards over the years. 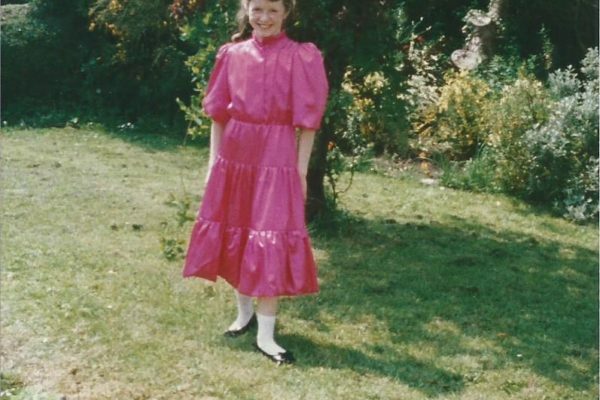 Her groups have won provincial titles in Scór and All-Ireland titles in the PTAA Readoiri competition. SCÓR NA NÓG: Anyone interested in taking part in Scór na nÓg please contact Alice Mannion 086 3084051. Competitors must be under 17 yrs on 1st January. 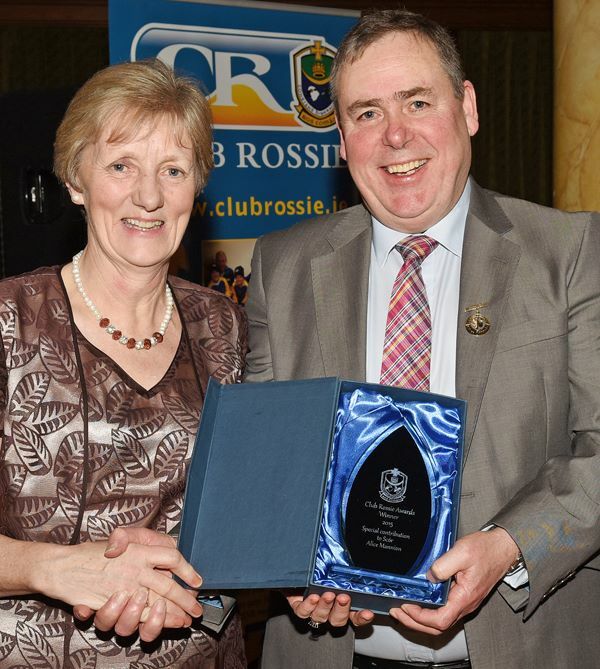 Picture 2 – Alice Mannion receiving a Club Rossie award for her outstanding contribution to Scor. 1971 John Carlos, Snr. Co. Winner. 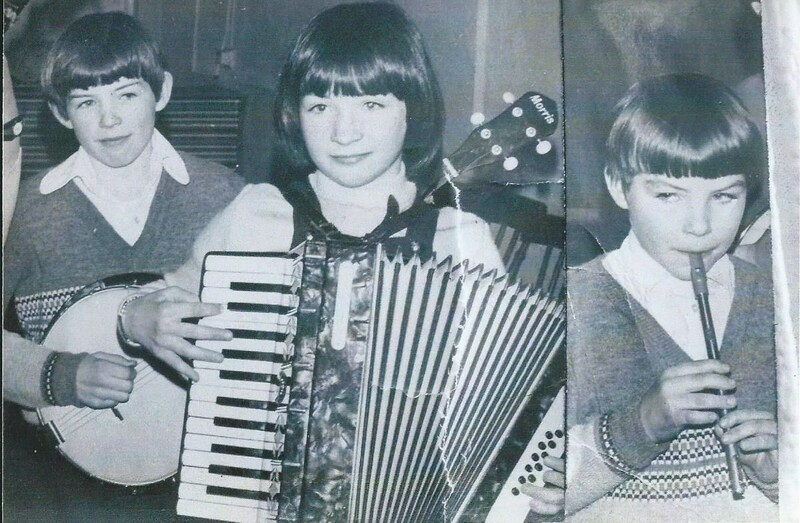 1981 Kevin, Aidan & Martina Waldron. Jnr. Scor Co. Winners. 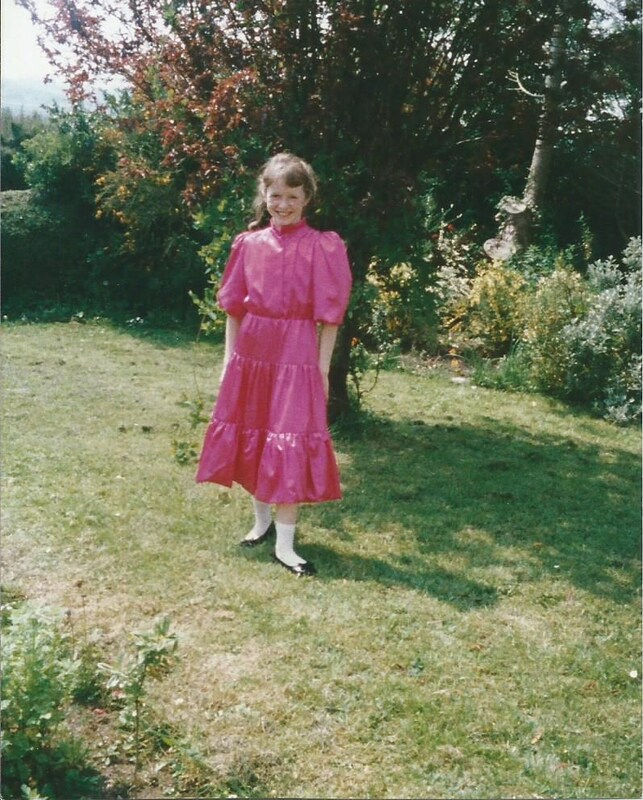 1992 Erica Flanagan, Jnr. Solo Singing, Connacht Finalist. 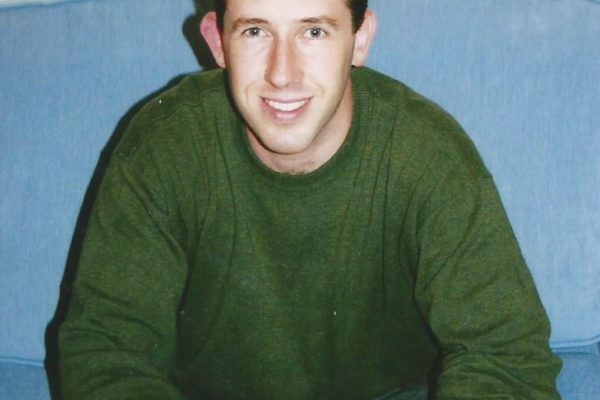 1995 Lorcan Mannion, Snr. Solo Singing, Connacht Finalist. 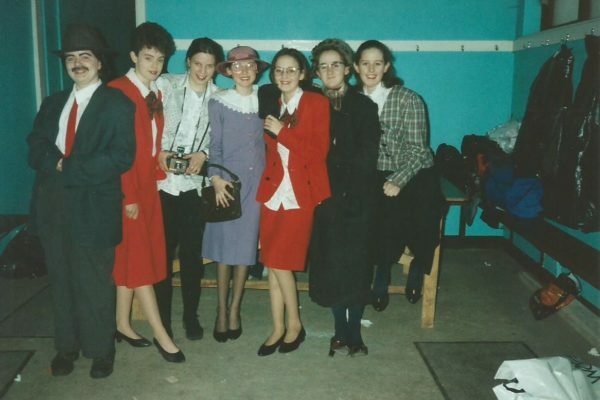 1996 Sharon Mannion, Teresa Lyons, Tracey Jennings, Suzanne Keane, Lisa Bailey, Natalie Flanagan, Suzanne Carlos. Jnr. Novelty Act Connacht Finalists. 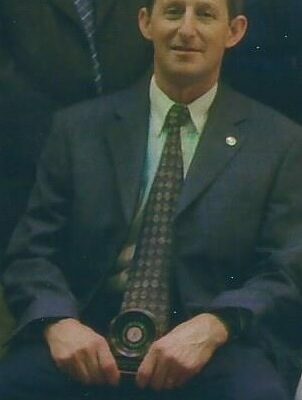 1998 Jnr. 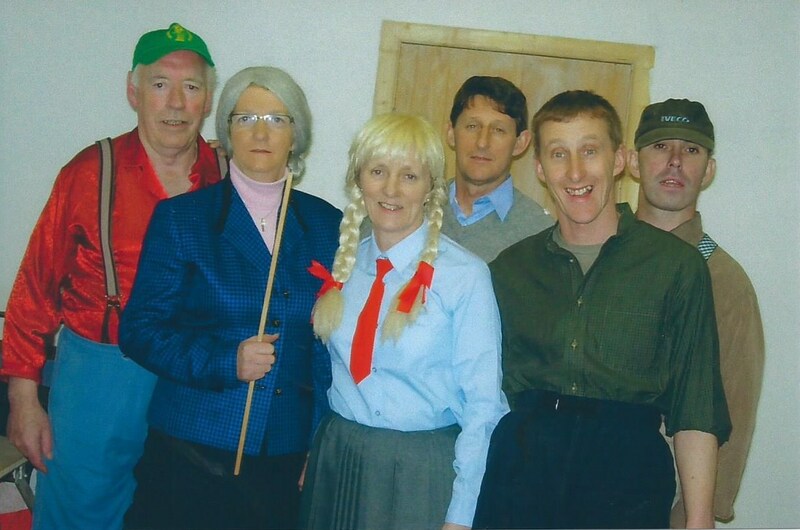 Novelty Act, All-Ireland Finalists. 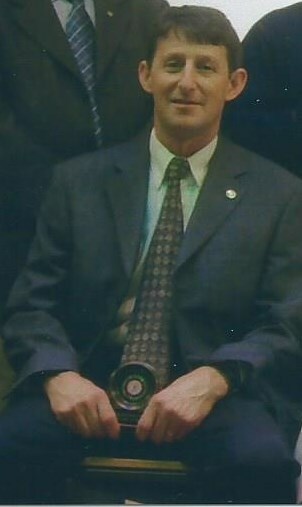 2002 & 2003 Martin Connolly, Snr. Recitation, Connacht Finalist. 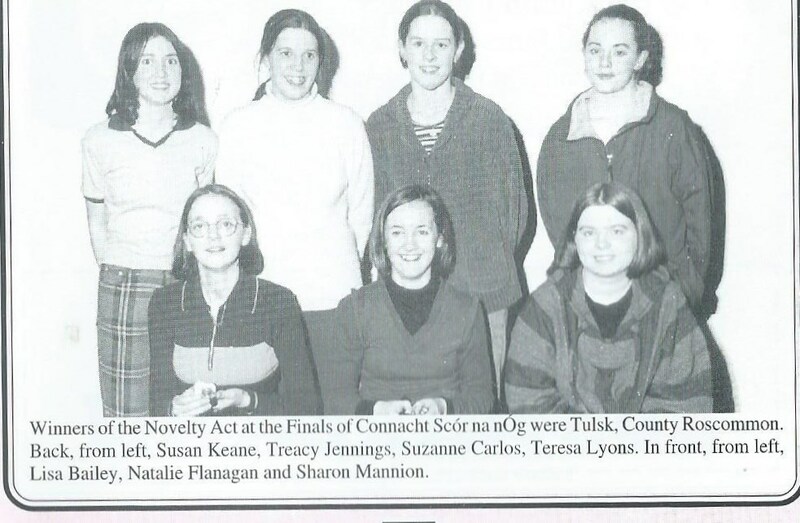 2003 Ruth Connolly, Jnr. 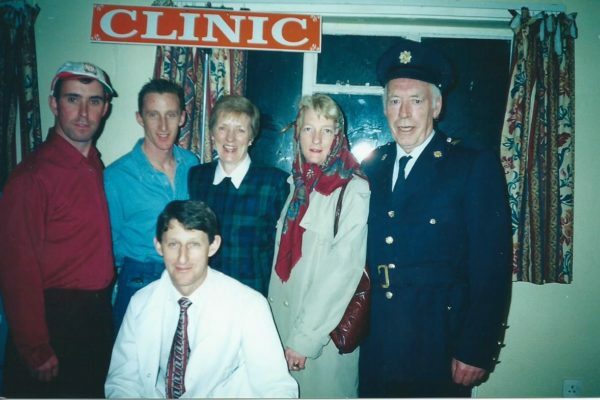 Recitation, All-Ireland Finalist. 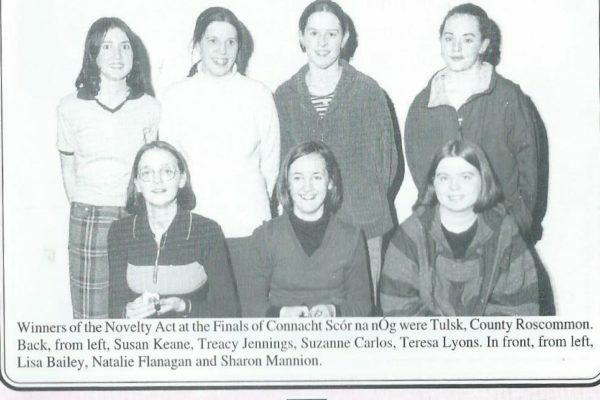 2003 Snr.Novelty Act, Connacht Finalists. Peter Vesey, Padraic Connolly Alice Mannion Mary Hussey(rip), Frank Hussey, Martin Connolly. 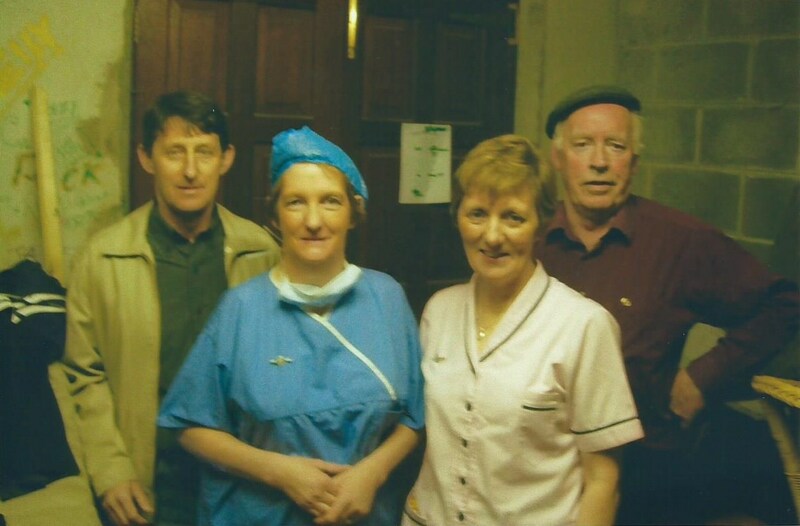 2007 Frank Hussey, Mary Hussey (rip) Alice Mannion, Martin Connolly, Padraic Connolly, Peter Vesey. Snr.Novelty Act, Co. Winners. 2011 Peter Vesey, Frank Hussey, Padraic Connolly, Martin Connolly, Mary Hussey (rip) Alice Mannion. Snr. 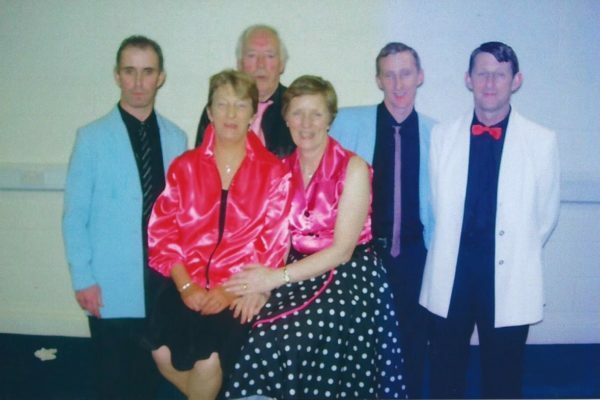 Novelty Act Connacht Finalists for a record 12th. time!